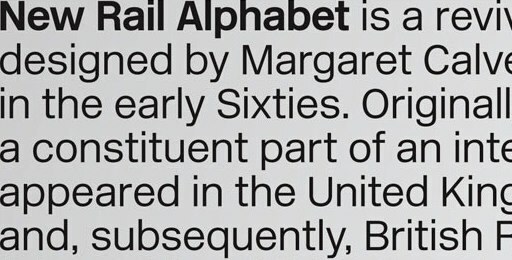 There is now an electronic version of Rail Alphabet, the high-Modernist typeface designed in 1965 by Jock Kinneir and Margaret Calvert for British Rail and used extensively on signage of British public institutions of the period (the NHS and various airports also used it). 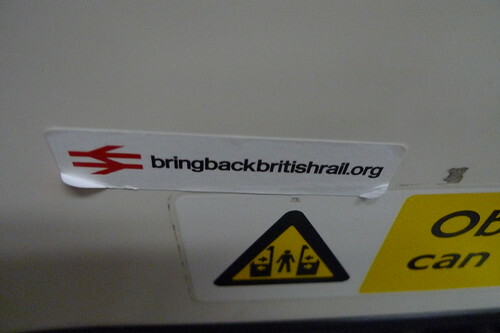 And just in time to ride the wave of nostalgia for pre-Thatcherite public institutions. And here is a detailed article on the evolution of the London Underground typeface, from Edward Johnston's 1920s original (which influenced the design of Gill Sans), to its subtle redesign by Japanese typographer Elichi Kono in the 1970s (Kono's account appears here), and other adaptations made recently as it was adopted across the entire London transport system.